New Holster for the Concealment Market. Jacksonville, FL â€“ Safariland, a BAE Systems line of business, announced today the introduction of a new Bianchi pocket holster, the Model 152 Pocket Piece, offering a specific firearm fit and a unique "Vertical Assist" finger pad to help facilitate the draw from the pocket. This full grain leather design is offered for small frame revolvers and semiautomatics. While the Model 152 Pocket Piece has been designed to individually fit each weapon that it holds, even more critical is the holster's ability to stay in the pocket when drawn. Bianchi has taken three distinct steps to achieve this. The holster is designed "inside out," with the rough texture of the leather to the exterior, allowing it to grip the interior of the pocket. Two "pocket hooks," one to the front and one to the rear of the holster, attach onto the pocket if canted forward or rearward. The Pocket Piece is equipped with a "Vertical Assist" pad, or a small push-off point for the thumb. This provides a handy reference point when gripping the gun and is excellent for driving the weapon out of the holster instead of relying on it to come out by simply pulling on the grip. 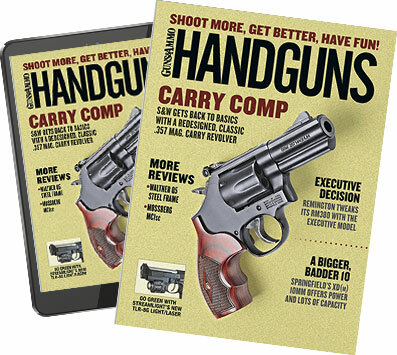 "Many pocket holsters look and function more like a bucket, with the handgun simply dropped in and not fitting well," stated James Dawson, Category Director for Duty Gear products. "We took the pocket design for Bianchi one step further, incorporating its reputation for precisely fit holsters into a good looking and extremely functional design." The Model 152 has a squared off design to mimic a wallet and is available in reverse-out full grain leather, plain tan. The MSRP is $29.75 and is available today for the S&W J frame revolver and similar guns such as the Ruger LCP and the LCR handguns. Additional fits will be available later this year.